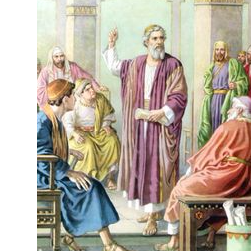 Summary: The Pharisees were a religious and political party in New Testament times. They were known for insisting that the law of God be observed, as the scribes interpreted it, and for their special commitment to keeping the laws of tithing and ritual purity. 18 But Jesus perceived their wickedness, and said, “Why do you test Me, you hypocrites? 19 Show Me the tax money.” So they brought Him a denarius. 22 When they had heard these words, they marveled, and left Him and went their way. The Pharisees were a religious and political party in Palestine in New Testament times. They were known for insisting that the law of God be observed, as the scribes interpreted it, and for their special commitment to keeping the laws of tithing and ritual purity. 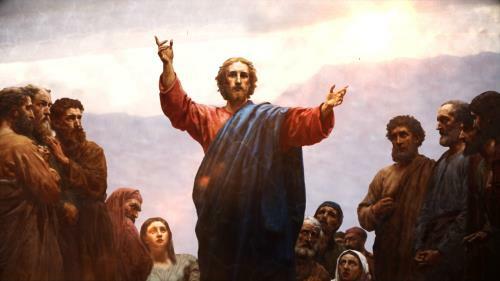 Luke writes in his gospel, “So they (Pharisees) watched Him, and sent spies who pretended to be righteous, that they might seize on His words, in order to deliver Him to the power and the authority of the governor" (Lk. 20:20). The religious rulers, many of whom were Pharisees, realized that Jesus had been speaking against them, so they became more intent to lay hands on Him. They sent spies to trick Him into saying something for which He could be arrested and tried by the Roman governor. These spies first praised Him as one who would be faithful to God at any cost and fearless of man—hoping that He would speak against Caesar. This incident illustrates that controversy often makes strange bedfellows. The Pharisees and the Herodians, who were bitter foes, were now brought together by a common hatred of the Savior. The Herodians were not a religious party like the Pharisees, but a political party that favored the dynasty of Herod and stood in favor of a Roman connection. They cared little or nothing for religion and normally were bitterly opposed by the Pharisees. The statements recorded here were insincere and intended as hypocritical flattery (for they really did not believe in Him), to influence the way He answered. They addressed the Lord as “Teacher.” Teaching in the Christian faith was validated by Jesus, who was called “Teacher” more than anything else. In fact, Jesus Himself taught that teaching was one of His main activities—“I was daily with you in the temple teaching, and you did not seize Me. But the Scriptures must be fulfilled” (Mk. 14:49). He was the greatest Teacher ever to walk on earth. Being God’s true Prophet He taught men as the father had taught Him—“No one has seen God at any time. 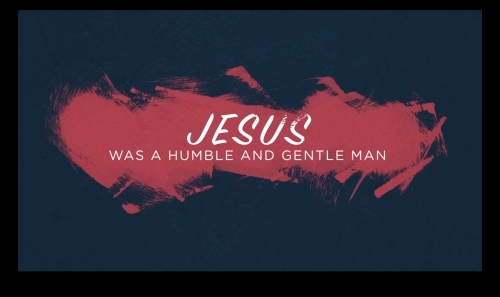 The only begotten Son, who is in the bosom of the Father, He has declared Him” (Jn. 1:18). God’s thoughts and attitudes toward humankind have been fully declared by Christ. It was a pity that those that addressed Him as “Teacher” did not accept His teaching. “Nor do You care about anyone,” means He is not partial to any man (not even to the highest person in government). “Teach the way of God in truth” does not express their conviction, but it does show that they hoped to appeal to Jesus’ integrity. They believed that if He answered honestly, He would be “caught” by His own words. Obviously, they did not want His opinion; they wanted His answer to declare or imply disloyalty to Rome. They desperately tried to trick Him into saying something, which they could use as a charge against Him. So they asked Him if it was lawful to pay taxes to the Roman government. All Jews, ages 14 to 65, were required to pay a tax to Caesar, which went directly into the imperial treasury. They hated to pay this poll tax, which was one denarius. Denarius was the actual name of the coin. Tiberius was the emperor at that time. Embossed on the front of the coin was the face of Caesar Tiberius, which demonstrated his right to impose the tax. The Pharisees were a religious and political party in New Testament times. They were known for insisting that the law of God be observed, as the scribes interpreted it, and for their special commitment to keeping the laws of tithing and ritual purity.